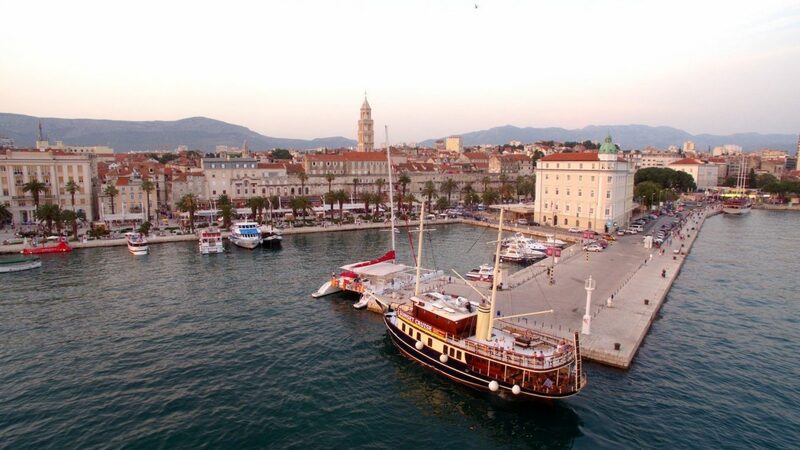 Treat yourself with a unique experience and spend an unforgettable evening enjoying Split riviera from the seaside. Finish your day with amazing sights and sounds that will take your breath away. Let’s make beautiful memories together! 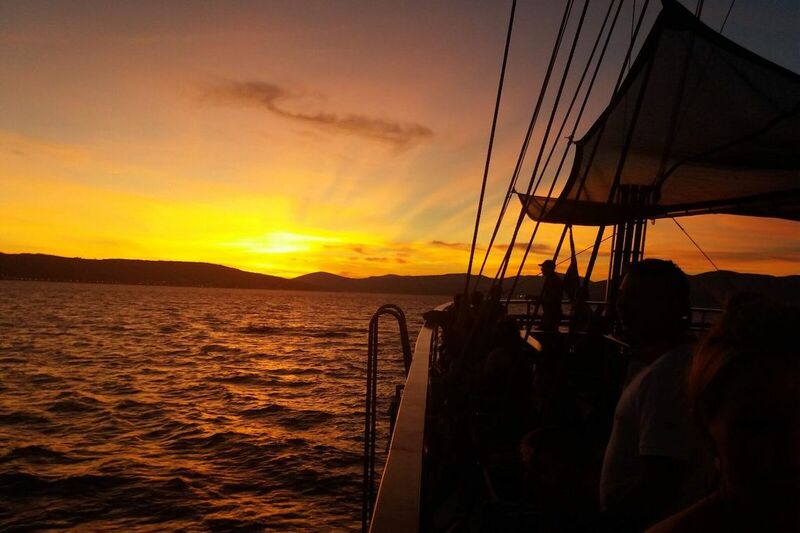 Our sunset cruise is far from an ordinary panoramic tour. 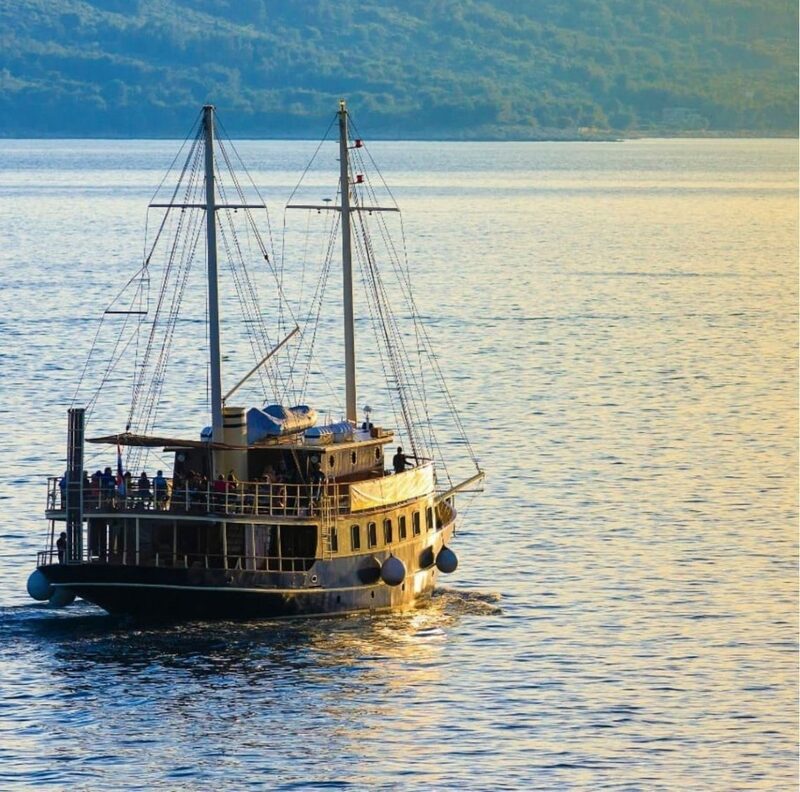 This special two-hour cruise, starts with sailing towards the sundown along the Marjan Hill also known as “the lungs of the city”. Then you will meet with the bay of Kaštela guarded by the slopes of Kozjak. Take a look at a stunning stadium of the local footbal club “Hajduk”, very important institution not only for football fans, but Split citizens in general because of its famous history and architecture. Afterwards we sail along the new part of the town, coasting several city beaches as the sun sets behind the town creating an idyllic atmosphere. 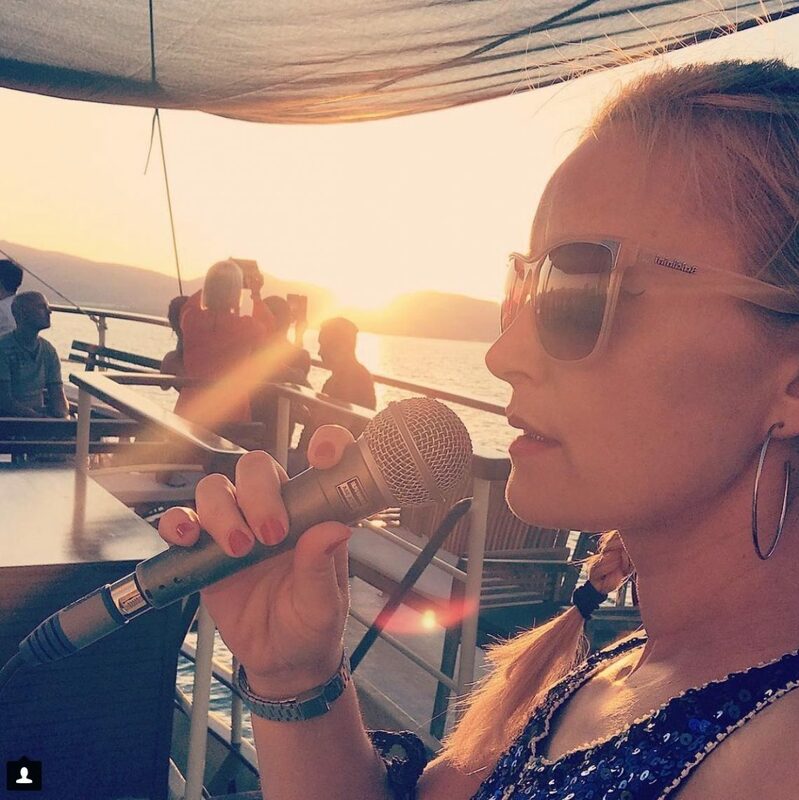 The tour includes live music on the open deck and open bar with no limit champagne, wine, beer and soft drinks during the whole cruise. Take a brilliant photo, dance in the moonlight or just relax and enjoy! DEPARTURE/RETURN LOCATION Gat Svetog Nikole or Obala Lazareta, Split, Croatia. DEPARTURE TIME Departures are adapted to the time of sunset during the season. DURATION TIME Approximately 2 hours. Off season: April, May, September and October almost every day. We run this trip from 15. April to 15. October. 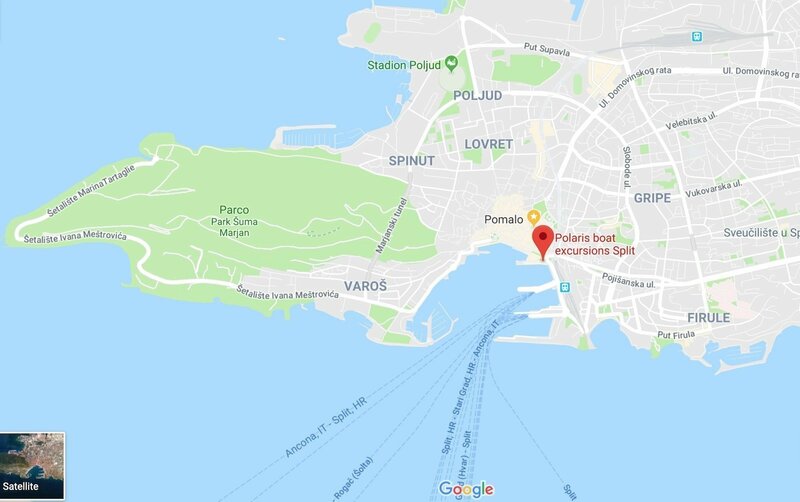 MEETING POING “Polaris” is docked in Split city port, just in front of a promenade “Riva”, pier Gat Svetog Nikole or Obala Lazareta. Find us on Google Maps, our position can be just 100 meters left or right. Please notify us on time in case of your late arrival, if it’s possible we will wait for you. Please be aware that because of other passengers the boat may not be able to wait to long. We consider such cases as non-arrival. If you require any additional information, feel free to contact us on +385 98 776 462. CANCELLATION CONDITION – 100% refund for cancellations or changes of the tour date made at least 48 hours before departure by mail info@polarissplit.com. – 100% charge for cancellations made less then 48 hours before departure or non-arrival. – There is a possibility of cancellation from our side in case of bad weather condition or if there is not enough passengers to meet requirements. In that case, you will be offered with an alternative date/tour or with the full refund of your payment. Departures are adapted to the time of sunset during the season. 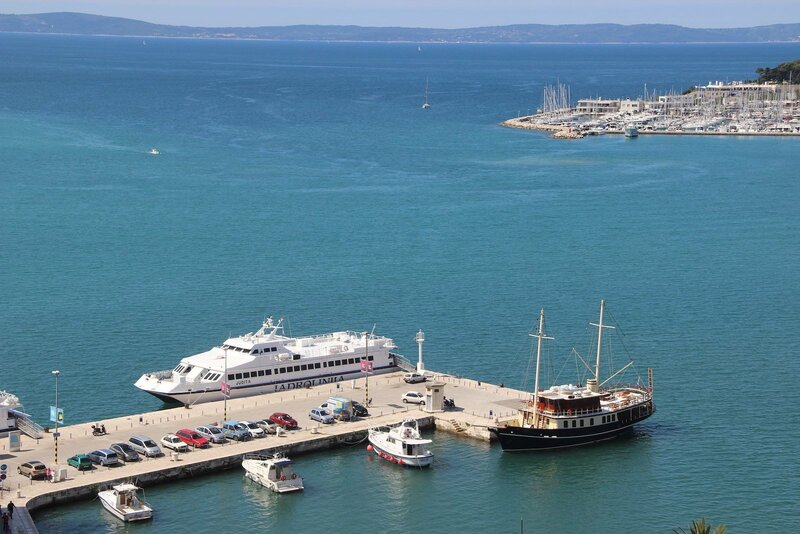 Departure from Split city port, just in front of a promenade “Riva”, pier Gat Svetog Nikole or Obala Lazareta. 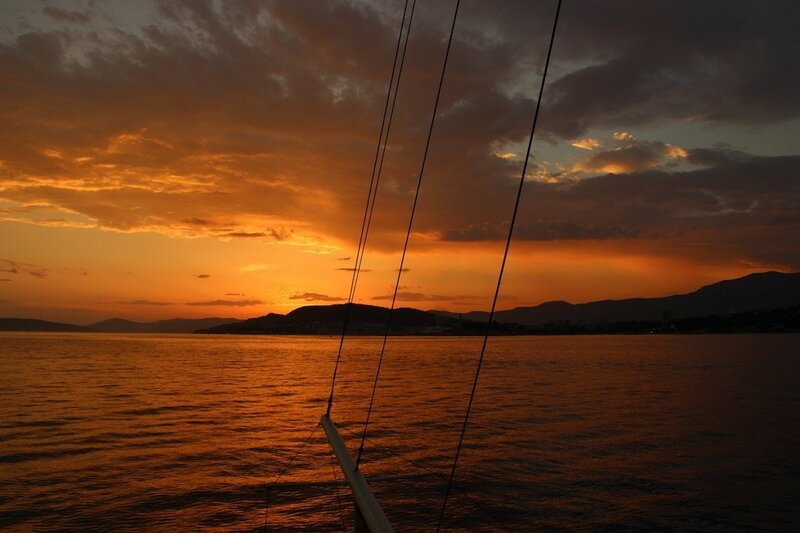 Navigation in Split Bay to Marjan Hill and Kastela Bay. Live Music with Triangle Band. Open bar with Champagne, Wine, Beer & Soft drinks. Arriving in split city port. 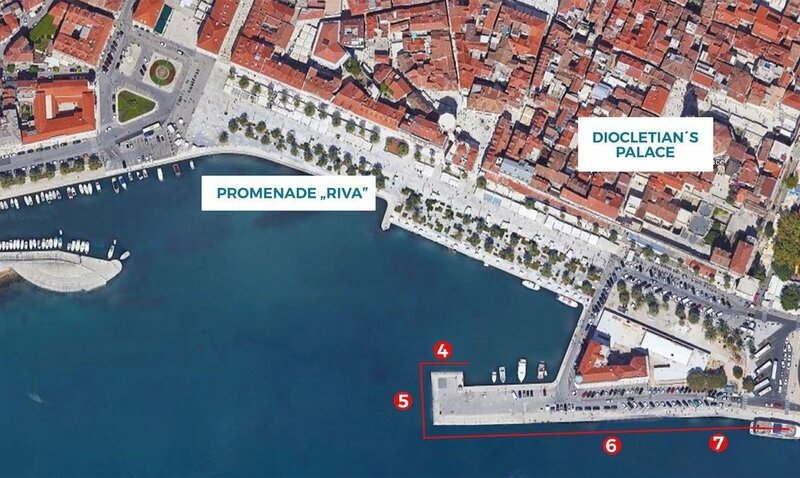 “Polaris” is docked in Split city port, just in front of a promenade “Riva”, pier Gat Svetog Nikole or Obala Lazareta. Find us on Google Maps, our position can be just 100 meters left or right. I wasn’t sure if this was a tourist trap, but no, I really enjoyed this cruise and it was as advertised. There really is free flow of booze (red and white wine, beer, etc. ), you drink in proper wine glasses and the food platters (tapas and such) were tasty and there was enough food for everyone. 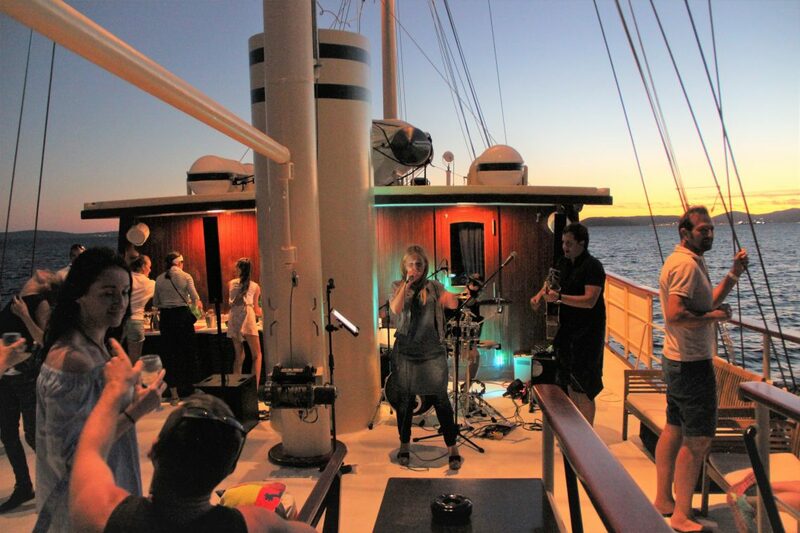 The live band was really good and people danced at the end of the cruise. 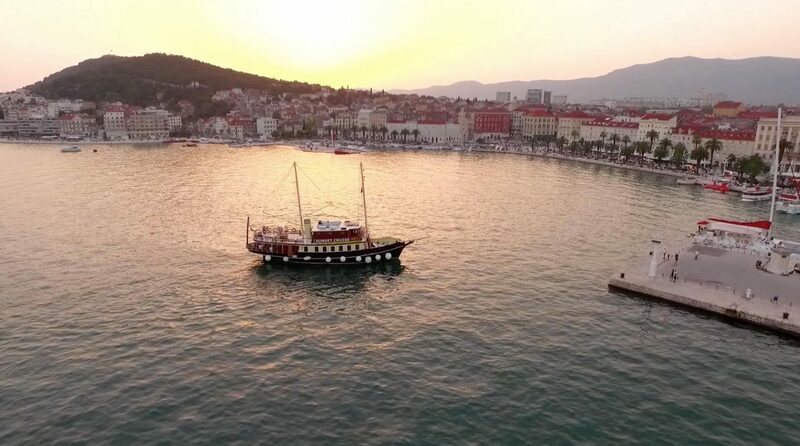 It gives you another perspective of Split and the boat itself is pretty nice too. Friendly staff. In all, I strongly recommend to try this cruise. When I went in mid-May, it ran 3 nights a week. Maybe the frequency picks up during peak tourist season. 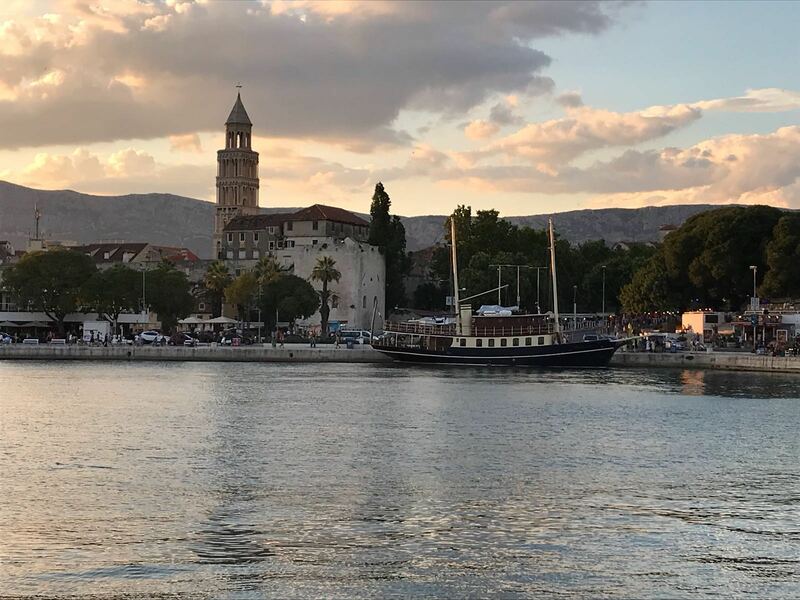 Although we are Croatian locals who are in Split every summer (our family is from Split and we know it inside and out), we decided to get away form the crowded streets and try something new this year. The sunset cruise with Polaris turned out to be the highlight of this summer. 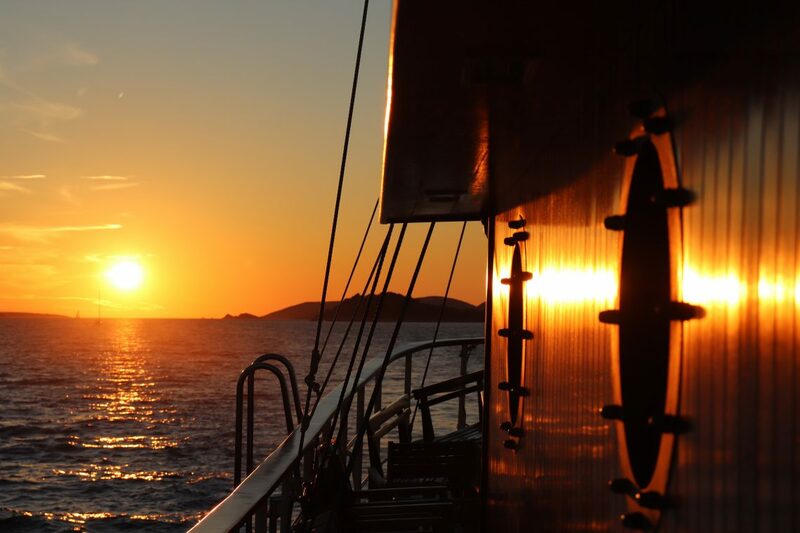 It was so relaxing, with the amazing view, calm sea, friendly crew, live band onboard, food and drink, we enjoyed every minute of it! The band’s repertoire of songs was great, i.e. the music was just right for the moment and the surroundings. 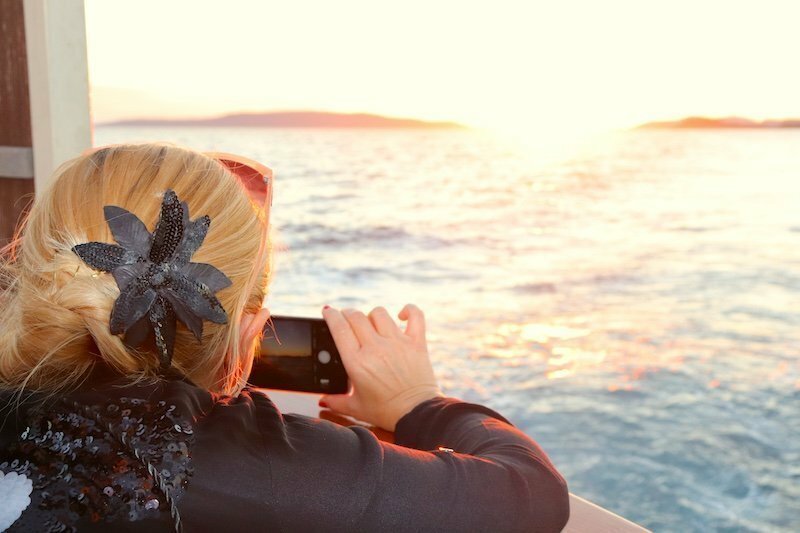 We got to click some amazing photos of the sunset and on the way back amazing photos of Split in the night. The history of the Dalmatia Polaris ship is also quite interesting, it dates back to WWII when it took part in some famous battles… Just ask the captain, he will be more than happy to tell you the story. The ship is very spacious and clean, has everything you might need (toilets as well), so if you worry about your sea legs and ponder about stepping aboard, don’t, it will be just like standing on land. 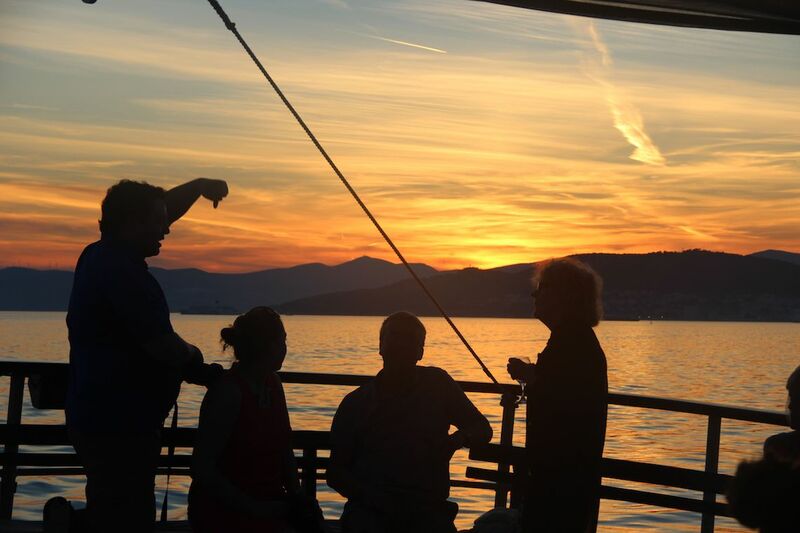 We highly recommend this tour to both foreign and Croatian tourists! We are a passionate team with a vision of providing the best service and the most exciting experience for our guests, in a warm, friendly and family atmosphere.